"JNF" redirects here. For the Jordan normal form in linear algebra, see Jordan normal form. Jewish National Fund (Hebrew: קֶרֶן קַיֶּימֶת לְיִשְׂרָאֵל, Keren Kayemet LeYisrael, previously הפונד הלאומי, Ha Fund HaLeumi) was founded in 1901 to buy and develop land in Ottoman Palestine (later the British Mandate for Palestine, and subsequently Israel and the Palestinian territories) for Jewish settlement. The JNF is a non-profit organization. By 2007, it owned 13% of the total land in Israel. Since its inception, the JNF says it has planted over 240 million trees in Israel. It has also built 180 dams and reservoirs, developed 250,000 acres (1,000 km2) of land and established more than 1,000 parks. The name Keren Kayemet comes from the Mishnah. Tractate Peah (1:1) lists the types of good deeds whose rewards are enjoyed in this world, while the principal merit will be in the world to come: hakeren kayemet lo l’olam haba. The idea of a national land purchasing fund was first presented at the First Zionist Congress in 1897 by Hermann Schapira, a German-Jewish professor of mathematics.The fund, named Keren Hakayemet (later known in English as the "Jewish National Fund") was formally established at the Fifth Zionist Congress in Basel in 1901. In its early years, the organization was headed by the Jewish industrialist Johann Kremenezky. Early land purchases were completed in Judea and the Lower Galilee. In 1909, the JNF played a central role in the founding of Tel Aviv. The establishment of the “Olive Tree Fund” marked the beginning of Diaspora support of afforestation efforts. The Blue Box (known in Yiddish as a pushke) has been part of the JNF since its inception, symbolizing the partnership between Israel and the Diaspora. In the period between the two world wars, about one million of these blue and white tin collection boxes could be found in Jewish homes throughout the world. From 1902 until the late 1940s, the JNF sold JNF stamps to raise money. For a brief period in May 1948, JNF stamps were used as postage stamps during the transition from Palestine to Israel. The first parcel of land, 200 dunams (0.20 km2) east of Hadera, was received as a gift from the Russian Zionist leader Isaac Leib Goldberg of Vilnius, in 1903. It became an olive grove. In 1904 and 1905, the JNF purchased land plots near the Sea of Galilee and at Ben Shemen. In 1921, JNF land holdings reached 25,000 acres (100 km²), rising to 50,000 acres (200 km²) by 1927. At the end of 1935, JNF held 89,500 acres (362 km²) of land housing 108 Jewish communities. In 1939, 10% of the Jewish population of the British Mandate of Palestine lived on JNF land. JNF holdings by the end of the British Mandate period amounted to 936 km². By 1948, the JNF owned 54% of the land held by Jews in the region, or a bit less than 4% of the land in what was then known as the British Mandate of Palestine. By the eve of statehood, the JNF had acquired a total of 936,000 dunums of land; another 800,000 dunums had been acquired by other Jewish organizations or individuals. Most of the JNF's activities during the Mandatory period were closely associated with Yossef Weitz, the head of its settlement department. From the beginning, JNF's policy was to lease land long-term rather than sell it. In its charter, the JNF states: "Since the first land purchase in Eretz Israel in the early 1900s for and on behalf of the Jewish People, JNF has served as the Jewish People's trustee of the land, initiating and charting development work to enable Jewish settlement from the border in the north to the edge of the desert and Arava in the south." After Israel's establishment in 1948, the government began to sell absentee lands to the JNF. On January 27, 1949, 1,000 km² of land (from a total of about 3,500 km²) was sold to the JNF for the price of I£11 million. Another 1,000 km² of land was sold to the JNF in October 1950. Over the years questions about the legitimacy of these transactions have been raised but Israeli legislation has generally supported the JNF's land claims. 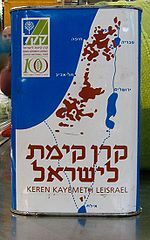 In 1953, the JNF was dissolved and re-organized as an Israeli company under the name Keren Kayemet LeYisrael (JNF-KKL). In 1960, administration of the land held by the JNF-KKL, apart from forested areas, was transferred to a newly formed government agency, the Israel Land Administration (ILA). The ILA was then responsible for managing some 93% of the land of Israel. All the land managed by the ILA was defined as Israel lands; it included both land owned by the government (about 80%) and land owned by the JNF-KKL (about 13%). The JNF-KKL received the right to nominate 10 of the 22 directors of the ILA, lending it significant leverage within that state body. The early JNF was active in afforestation and reclamation of land. By 1935, JNF had planted 1.7 million trees over a total area of 1,750 acres (7.08 km²) and drained swamps, like those in the Hula Valley. Over fifty years, the JNF planted over 260 million trees largely in semi-arid, rocky, hilly terrain in which cultivation is not cost-effective and the risk of land degradation is high. While the Ministry of Agriculture is the official regulator of Israel's forests, the JNF is responsible for the implementation of forest management and afforestation. In 2006, the JNF signed a 49-year lease agreement with the State of Israel which gives it control over 30,000 hectares (300 km2) of Negev land for the development of forests. The JNF has been criticized for planting non-native pine trees which are unsuited to the climate, rather than local species such as olive trees. Others say that JNF deserves credit for this decision, and the forests would not have survived otherwise. According to JNF statistics, six out of every 10 saplings planted at a JNF site in Jerusalem do not survive, although the survival rate for planting sites outside Jerusalem is much higher – close to 95 percent. The Israeli newspaper Maariv claimed that workers remove saplings daily to allow more tourists to plant the following day, but the JNF denied this and said it would sue the paper for libel. The Union for Environmental Defense has criticized the fund's forestry practices for "overreliance on highly flammable pine trees" and overuse of toxic herbicides, in the context of minimal government and public scrutiny. Some forests have been planted for security reasons and as a means of demarcating Israeli space. Critics argue that many JNF lands outside the West Bank were illegally confiscated from Palestinian refugees, and that the JNF furthermore should not be involved with lands in the West Bank. Shaul Ephraim Cohen has claimed that trees have been planted to restrict Bedouin herding. 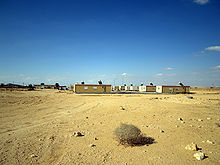 Susan Nathan wrote that forests were planted on the site of abandoned Arab villages after the 1948 war. Nathan also writes that olive trees were replaced by pine and cypress trees and that JNF afforestation policy erases traces of the Arab presence prior to 1948. 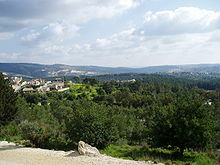 In 2008, the JNF announced that historical information plaques erected in JNF parks and forests would cite the names of the Arab villages formerly located there. Since 2009, the JNF has been helping the Palestinian Authority plan public parks and other civic amenities for the Palestinian city of Rawabi, north of Ramallah. The JNF provided the Palestinian Authority with 3,000 tree seedlings for a forested area being developed on the edge of the new city. Israel's fresh water supply is dependent on 50 days a year of seasonal rainfall, while water consumption has doubled since 1960. Towards the end of the 1980s, the JNF undertook several large-scale water conservation projects. Dams and reservoirs were built to capture rainwater run-off which would have otherwise been lost in the Arava Valley, Reshafim in the Beit She'arim Valley and Kedma near Kiryat Gat. An artificial lake was built in Timna Park. The JNF has built 200 reservoirs around the country, and plans to build 30 more reservoirs and water treatment plants over the next five years.[when?] Over the past decade,[when?] JNF has invested over $114.99 million in reservoir construction, increasing the country's total storage capacity by 7%, to over 130 million cubic metres (34×10^9 US gal) of water. JNF is also involved in river rehabilitation projects all over Israel, such as the Nahal Alexander Restoration Project begun in 2003. JNF trees in the Negev Desert. Man-made dunes (here a liman) help keep in rainwater, creating an oasis. The JNF's engagement in developing Israel for Jewish purposes has involved a range of massive land infrastructure development projects. In the 1980s, the JNF launched a project known collectively as "Operation Promised Land," to meet the challenge of the massive upsurge of Jewish immigration from the Soviet Union and Ethiopia. In recent years, the JNF has again moved towards the development of towns to accommodate new Jewish immigrants, focusing on the Galilee and Negev regions, the two areas of Israel with a tenuous Jewish demographic majority. In particular, the JNF's 600 million dollar Blueprint Negev aims to attract and build infrastructure for 250,000 new settlers in the Negev desert, which accounts for 60% of the country's land mass but remains sparsely populated. The plan has come under scrutiny as groups such as Bustan, Save the Negev, and Ohalah have expressed concern over the project's lack of transparency in light of the potential strain on ecological resources and the possible impacts on Bedouin communities nearby. The Jewish National Fund has arms in other countries, active in fundraising for the benefit of the JNF-KKL in Israel. The United States arm of the JNF was incorporated on January 26, 1926 and developed a uniquely American effort to support development in Israel. JNF-USA continues to play an important leadership role in the JNF family and claims to be the largest contributor to JNF-KKL in the world. In 1996, the JNF-USA was accused of mismanaging funds. According to the charges, only 21% of US donations reached Israel, and money was being diverted to Latin American JNF offices. In the wake of this scandal, the North American management was forced to resign. The tax-exempt status of the JNF-USA was challenged in 2011 as violating the public policy of the United States with respect to ethnic and religious discrimination. However, it is doubtful that these policies would be applied to activities outside the United States. The charitable status of the JNF-UK has come under increasing attack. British prime ministers Tony Blair and Gordon Brown had been Honorary Patrons of the JNF-UK, like all British prime ministers before them since its inception. Confounding expectations, David Cameron resigned as Honorary Patron to JNF-UK in 2011. According to a spokesman, Cameron's surprise refusal was due to the JNF-UK being an organisation that was specifically focused around work in one specific country—i.e., Israel. Cameron's decision was interpreted as a snub, in spite of the spokesman's assurances that his decision had "absolutely nothing to do with any anti-Israel campaign". However, campaigners claimed that Cameron's resignation was due to political pressures motivated by the JNF-KKL's discriminatory policies in Israel. Since then, the JNF-UK's Honorary Patrons include no leader of the main British political parties. An Early Day Motion in the British parliament condemning the JNF and calling for the revocation of the JNF's charitable status in the UK was launched in 2011 and by February 2012 had been signed by 66 Members of Parliament. In 2012 the Green Party called for the JNF to be stripped of its charity status and pledged to sign up to a campaign which calls the charity "racist". A bank clerk named Haim Kleinman in Nadvorna, Galicia placed a blue box labeled "Keren Le'umit" in his office and urged others to do the same. The first mass-produced boxes were distributed in 1904. Kleinman visited Mandate Palestine in the 1930s and planned to make aliyah, but perished in the Holocaust. Menahem Ussishkin wrote that "The coin the child contributes or collects for the redemption of the land is not important in itself; it is not the child that gives to the Keren Kayemeth, but rather the Fund that gives to the child, a foothold and lofty ideal for all the days of his life." T'ruah has expressed concerns that the JNF is not transparent about where their funds go and that the organization may be subsidizing projects in West Bank settlements. The organization's chief executive later acknowledged that JNF does fund projects within settlements. A review of their tax filing from 2014 led Rabbi Jill Jacobs of T'ruah to estimate that about $600,000 of the $27.2 million in grants by JNF-USA went to support settlements. Israeli lawmakers have sought, unsuccessfully, to allow the State Comptroller to examine the books of the organization to determine whether the group's funds were being spent appropriately. The JNF is not the trustee of the general public in Israel. Its loyalty is given to the Jewish people in the Diaspora and in the state of Israel... The JNF, in relation to being an owner of land, is not a public body that works for the benefit of all citizens of the state. The loyalty of the JNF is given to the Jewish people and only to them is the JNF obligated. The JNF, as the owner of the JNF land, does not have a duty to practice equality towards all citizens of the state. On 26 January 2005, Israel's Attorney General Menachem Mazuz ruled that lease restrictions violated Israeli anti-discrimination laws, and that the ILA could not discriminate against Arab citizens of Israel in the marketing and allocation of the lands it managed; this applied both to government lands and to lands belonging to the JNF. However, the Attorney General also decided that, whenever a non-Jewish citizen wins an ILA tender for a plot of JNF-owned land, the ILA would compensate the JNF with an equal amount of land. This would allow the JNF to maintain its current hold over 2,500,000 dunams (2,500 km2) of land, or 13% of the total land in Israel. As a result of the Mazuz ruling, authorities found themselves facing a conundrum: on the one hand the JNF, as a "private" organization, had received donations from outside Israel which were specifically earmarked for the benefit of Jews; on the other hand, the state and the ILA (an agency of the state), which administered the land owned by the JNF, were banned from discriminating against non-Jews. In early 2005, the JNF and the Finance Ministry were reported as trying to draft a new agreement that would separate the JNF from the state, thereby allowing it to continue selling land to Jews only. In July 2007, the Israeli Knesset approved the Jewish National Fund Bill, submitted by MK Uri Ariel (National Union/National Religious Party), in its preliminary reading; but the bill was later dropped. The bill sought to authorize the JNF practice of refusing to lease land to Arab citizens. The bill called for a new provision to the 1960 Israel Land Administration Law, entitled "Management of the Jewish National Fund's Lands"; the provision stated that regardless of other conflicting rulings, leasing JNF lands for Jewish settlement did not constitute discrimination, and: "For the purpose of every law, the association documents of the Jewish National Fund will be interpreted according to the judgment of the Jewish National Fund's founders and from a nationalist-Zionist standpoint." In September 2007, the High Court heard a further Adalah petition seeking cancellation of an ILA policy as well as Article 27 of the Regulations of the Obligations of Tenders, which in concert prevent Arab citizens from participating in bids for JNF-controlled land. The High Court of Justice agreed to delay a ruling by at least four months, and a temporary settlement was reached (following the compromise proposed in 2005 by Menachem Mazuz) wherein, although the JNF would be prevented from discriminating on grounds of ethnicity, nevertheless every time land is sold to a non-Jew, the ILA would compensate it with an equivalent amount of land, thus ensuring the total amount of land owned by Jewish Israelis remains the same. An alternative proposal submitted by Amnon Rubinstein, a former minister, recommended that a distinction be made between JNF lands and state lands, such that all JNF lands directly acquired via donations from abroad specifically for the benefit of Jews (some 900,000 dunams (900 km2)) will pass to the direct control of the JNF; while properties purchased by the JNF from the state in the 1950s and formerly belonging to Palestinian refugees (the so-called "lands of missing persons" or "absentee" lands, amounting to 2,000,000 dunams (2,000 km2)) would revert to state control. Rubinstein's intention was "to avoid passing racist legislation [such as the Ariel Bill] that would limit the use of these lands to the Jews". Others denied however that the Ariel Bill was racist. The Rubinstein proposal was not taken up. In late 2007 a deal was proposed to swap land between the state and the JNF, thus rendering redundant the Ariel Bill, deemed by some to be racist, while allowing the JNF to continue leasing its lands only to Jews. After the initial land swap, urban JNF land sold in future to non-Jews would include an automatic swap mechanism: the fund would transfer the land to the ILA, and in exchange would receive the purchase price plus a similar-sized plot in the Negev. In December 2011, Seth Morrison resigned from the board of JNF-USA in protest at the decision by Himnuta, a subsidiary of JNF-KKL, to launch eviction proceedings against the Sumarin family, who lived in the Silwan neighborhood of East Jerusalem. In the case of the Sumarin family, the children of the original owner, Musa Sumarin, were declared absentees after his death even though there were other family members living in the home at the time. In 1991, the Israeli government took the step of transferring the property to the JNF subsidiary. A campaign against the JNF's eviction was launched by Rabbis for Human Rights, the Sheikh Jarrah Solidarity Movement, and the Jewish organization Yachad. The pressures led the JNF to delay the eviction. The JNF played a similar role in evicting the Gozlan family in the 1990s. In July 2017, the Jewish Daily Forward revealed that the JNF-USA had loaned its chief executive officer, Russell Robinson, and its chief financial officer, Mitchel Rosenzweig, more than $500,000, in violation of New York State law. New York State forbids charities from lending their officers any money. The New York State attorney general's office opened an investigation and ordered the JNF to rescind the two loans. The JNF said in response that Robinson and Rosenzweig were not officers under the meaning of the law, but the attorney general's officer rejected that argument. After the publication of the Forward's article, Robinson and Rosenzweig agreed to repay the balance of the loans, as required by the state attorney general. ^ a b Pfeffer, Anshel; Stern, Yoav (2007-09-24). "High Court delays ruling on JNF land sales to non-Jews". Haaretz. Retrieved 2007-12-20. ^ "Jewish National Fund - Plant Trees in Israel". jnf.org. Archived from the original on 2008-08-06. ^ "The Jewish National Fund". Jewishvirtuallibrary.org. Retrieved 2013-08-11. ^ "100 colonies founded", The New York Times. April 17, 1936. Page 11. ^ Tal, Alon (2002-08-01). Pollution in a Promised Land: An Environmental History of Israel. University of California Press. ISBN 9780520936492. ^ Metzer, Jacob (1998-06-13). The Divided Economy of Mandatory Palestine. Cambridge University Press. p. 92. ISBN 9780521465502. ^ A. Barkat (February 10, 2005). "Buying the State of Israel". Haaretz. Retrieved 2007-05-29. ^ M. Benvenisti (May 29, 2007). "With all due respect for the 'blue box'". Haaretz. Retrieved 2007-05-29. ^ "Israel Land Authority". Mmi.gov.il. 2006-01-03. Archived from the original on 2013-09-27. Retrieved 2013-08-11. ^ David Kretzmer, The Legal Status of the Arabs in Israel (Boulder, Colo.: Westview Press, 1990), pp. 60—61. ^ a b "JNF-USA website". Retrieved 2011-12-26. ^ Nathan, Susan (2005). The Other Side of Israel: My Journey Across the Jewish/Arab Divide. New York: Nan A. Talese. pp. 130–131. ISBN 978-0-385-51456-9. ^ "Building Peace Without Obama's Interference". Online.wsj.com. 2009-12-02. Retrieved 2013-08-11. ^ "JNF history". Jnf.org. Retrieved 2013-08-11. ^ "Jewish National Fund - Plant Trees in Israel". jnf.org. Archived from the original on 2009-01-29. ^ "Ohalah resolution". Neohasid.org. Retrieved 2013-08-11. ^ "Neohasid's Save the Negev Campaign". Neohasid.org. Retrieved 2013-08-11. ^ "Jewish National Fund Challenged on Discrimination - News". The Forward. 20 April 2011. ^ "JNF-UK website". Archived from the original on 2012-01-27. Retrieved 2011-12-26. ^ Rocker, Simon (19 October 2005). "KKL splits from JNF in Britain". The Jewish Chronicle. United Kingdom. ^ Rocker, Simon (28 October 2010). "JNF settles £700,000 Sherling dispute". The Jewish Chronicle. United Kingdom. Retrieved 26 December 2011. ^ Anshel Pfeffer (2008-11-18). "JNF deal ends dispute in Israel, U.S., U.K." Haaretz. Retrieved 2011-12-28. ^ 'Stop the JNF' campaign relaunched. The Jewish Chronicle, March 31, 2011. ^ Cameron leaves the JNF. The Jewish Chronicle, Simon Rocker, May 26, 2011. ^ Cameron's JNF split: it was Israel. The Jewish Chronicle, Robyn Rosen, June 2, 2011. ^ Sherwood, Harriet (29 May 2011). "David Cameron resigns as patron of the Jewish National Fund". The Guardian. United Kingdom. Retrieved 31 May 2011. ^ "Early day motion 1677 - Jewish National Fund". UK Parliament. Retrieved 2012-01-12. ^ Simon Rocker (2011-10-27). "Anti-JNF move fails". The Jewish Chronicle. United Kingdom. Retrieved 2012-01-12. ^ Marcus Dysch (2012-03-01). "Greens denounce JNF as 'racist' and colonial". The Jewish Chronicle. United Kingdom. Retrieved 2012-03-03. ^ The Memorial Book for the Jewish Community of Yurburg, Lithuania – Translation and Update, Joel Alpert, Zevulun Poran, זבולון פורן, Josef Rosin, Fania Hilelson Jivotovsky, Assistance to Lithuanian Jews, 2003, p. 356. ^ a b c d e Moshe Kol-Kalman, The Blue Box, The Israel Philatelist, June 2009, Vol LX, No. 3, p. 116-7. ^ Nussbaum Cohen, Debra. "U.S. Jewish Group Goes After JNF Over West Bank Donations". ^ Sterman, Adiv. "Ministers shoot down bill for JNF transparency". ^ Supreme Court Petition: H.C. 9205/04, Adalah v. The Israel Lands Administration, the Minister of Finance and the Jewish National Fund. ^ H.C. 9010/04, The Arab Center for Alternative Planning, et al. v. The Israel Lands Administration, et al. ^ Spangler, Eve (28 June 2015). Understanding Israel/Palestine: Race, Nation, and Human Rights in the Conflict. Springer. p. 91. ISBN 978-94-6300-088-8. ^ JNF, treasury seek formula for continued Jews-only land sales. Haaretz. Yuval Yoaz. January 28, 2005. ^ Yoav Stern and Shahar Ilan (July 19, 2007). "Bill allocating JNF land to Jews only passes preliminary reading". Haaretz. Retrieved 2007-07-30. ^ Amiram Barkat (2007-07-07). "Ex-minister Rubinstein: State should reclaim land given to JNF". Haaretz. Retrieved 2011-12-28. ^ Yitzhak Bam (2007-07-26). "A Mazuz bypass law". Haaretz. Retrieved 2011-12-28. ^ Shahar Ilan (2007-10-30). "Deal would have state, JNF swap 60,000 dunams". Haaretz. Retrieved 2011-12-28. ^ a b Nir Hasson (2011-11-27). "JNF delays eviction of Palestinian family from East Jerusalem home". Haaretz. Retrieved 2011-12-28. ^ Hannah Weisfeld (2011-12-09). "Eviction assaults Israel's values". Jewish Chronicle. United Kingdom. Retrieved 2011-12-28. ^ Nathan-Kazis, Josh (27 July 2017). "EXCLUSIVE: Iconic Jewish Charity Illegally Loaned $500K To CEO, Regulators Say". Jewish Daily Forward. Retrieved 28 July 2017. ^ Nathan-Kazis, Nathan (4 August 2017). "In Donor Letter, JNF Whitewashes Repayment Of $700K Loans As 'Voluntary'". Jewish Daily Forward. Retrieved 4 August 2017. Wikimedia Commons has media related to Jewish National Fund. The Central Zionist Archives in Jerusalem. Collections of the Jewish National Fund. Joel H. Golovensky and Ariel Gilboa, "Is This Land Still Our Land? The Expropriation of Zionism", Azure 36 (Spring 2009).